An update on this maniac from South Florida who has threatened a school attack in Columbine. Damning text messages released in the Jussie Smollett case. And a brand new Floridope! The latest on the Notre Dame fire, Bernie Sanders gets backed into a corner, and would you let Wal Mart pick out your kids clothes? Famed lawyer, Alan Dershowitz joins the show to discuss the conversation he had with Julian Assange before his arrest. Tiger's comeback for the ages. Plus, why would you want to own this prehistoric bird? The Falcon heavy rocket launch was a huge success, Israel moon landing...not so much. Ilhan Omar says more dumb things, and AOC backs her up. Plus, don't mess with Finn the bat dog! 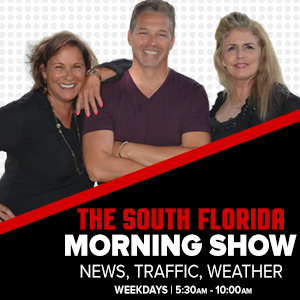 Dr. Aileen Marty, the Infectious Diseases Specialist from FIU joins the show to discuss the Hepatitis A outbreak and how you can avoid it. Plus, Julian Assange gets arrested and AG Barr says the Trump campaign was spied on!